Perfect compliment to the 26-in-1 Ultradriver and just as versatile. Would be a great set for someone who doesn't do a lot of electronics work but still needs a precision screwdriver set from time to time. I purchased my first Wiha Sysem 4 set about 20 years ago. They still look and function perfectly like the day I bought them. This 16 piece set is an extremely handy addition to my every day tool kit. 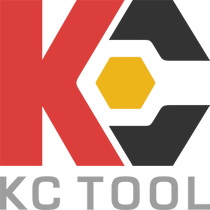 KC Tool was great to work with and accommodated me with a last minute add-on to my order. Thanks! Hello is german made germany means well made tools all the time. I love this thing. I use a lot of Torx bits and this package provides good quality bits. i own quite a few wiha tools and this one is no exception.all the bits in the set are of great quality and strength...i work on a lot electronics and various knives with small torx and phillips screws,this tool has everything you need in one convienient package...highly recommend...thanks kc tool! !